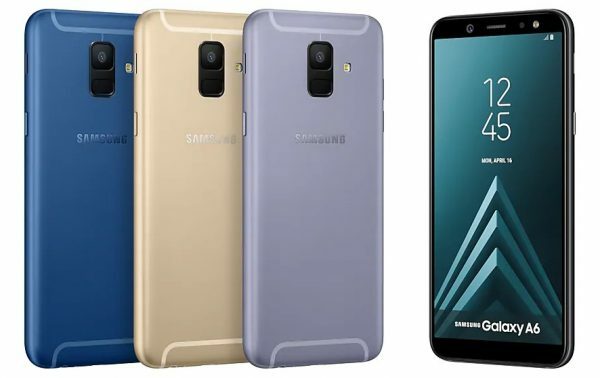 The Samsung Galaxy S6 model number A600F has been released last year with Android 8 Oreo, and now Samsung has finally started to roll out the new Android 9 One UI firmware upgrade for users worldwide. Android 9.0 Pie for Galaxy A6 2018 comes with better performance, app actions, better battery performance, a better looking and faster user interface, and tons of other tweaks that will make your device seems like a new model once again. The new and official Update is also rolling out over-the-air, but it will take a while before it reaches all the devices, so you can manually install the new firmware using the info posted below. You only need to make sure that your Galaxy A6 2018 is the SM-A600F model, and then you can follow the instructions in order to install the update manually with Odin 3.13.3 tool. Keep in mind that the guide is for advanced users, but you should be able to easily complete the Android 9 Pie installation if you're a beginner, too. Download the Samsung USB drivers from here and install them on your computer. Those are the official Samsung drivers. Download Odin 3.13.3 zip from here. Extract the archived contents and save them on your PC. Download the Android 9 Pie A600FJXU3BSC9 firmware update files from here. the link is from our friends at SamMobile, the downloads are free for new users, but the download speed is not that great, but it works and the firmware files are 100% official. Extract all the files inside the A600FJXU3BSC9 archive and save all the files on your computer. Enable USB Debugging from your Galaxy A6 2018 Developer Options menu. Boot the Galaxy A6 2018 in Download Mode. it can be done by pressing at the same time Volume Up + Volume Down + Power. release the buttons when the screen shows a light blue menu. Press Volume Up to confirm the Download Mode boot. Connect the Galaxy A6 2018 to your PC via usb cable. look at the Odin screen menu and the "Added" message should be listed. if the device is not added you need to reinstall the usb drivers and repeat the tutorial. click AP and load the A600FJXU3BSC9 file with AP in its name. click CP and load the CP_A600FJXU3BSC9 file. click BL and load the BL_A600FJXU3BSC9 file. click CSC and load the HOME_CSC_A600FJXU3BSC9 file. don't load the firmware file that has only the "CSC" term in its title, as that one will wipe clean the phone. Now you can press START and the Android 9 Pie update process for your Galaxy A6 2018 will start. These were the steps you had to follow. Unplug the phone from your computer when the Android 9 Pie One UI firmware upgrade is installed successfully. Reboot the phone in normal mode after that and unplug it from your PC. If you cannot complete the tutorial, then you can wait for Samsung to push the new firmware update in your region. Also, you can check for new firmware updates by going to Settings> Software Update menu and using the "Download and Install" option to look for Android 9 files. If you need more help tell us in comments. Hi, I updated Galaxy A6 2018 to 9.0 android and now it lacks NFC. Anyone with similar issue?